MAY SPECIAL! Beach front paradise big yard 3 BR great for groups & family trips! MAY SPECIAL!! - Book now and save! Ready to get away for your private beach front vacation? Pelican Pass offers 3 BR, 2 full baths on either side of an amazing great room that looks right out on the magnificent private beach. The great room contains the kitchen, a large table for dining and the family room with a wall of windows out to a large deck so you can see all that Sargent Beach has to offer. Great beach to fish, relax, swim and enjoy the family! The yard is completely fenced in and huge. Beach chairs are provided and with the private beach access you can lounge on the beach all day, walk or hang on our huge deck with amazing views!! Save the trunk space and don't pack the beach chairs or the corn hole set. We provide 8 beach chairs, 10 Adirondack chairs and 4 lounge chairs for the deck. And we got your corn hole covered - so to speak - with a nice little set to play in the yard. We're happy to provide any recommendations on how to enjoy Sargent beach like we have in this house! Dave and Lee Saba grew up loving the beach but never could quite buy their own beach house until they discovered Sargent Beach Texas. They absolutely love the privacy where they can get away whenever they escape to Pelican Pass and now want to share it with you! We wanted a great beach with privacy. When we saw the huge yard, space between the houses (rare in Sargent Beach) and great views - we couldn't resist. The fishing, the beach walking, the shells, the birds and the great people sealed the deal. Your own private beach where you can walk forever, fish, swim or just relax and read a book. You can get some great shrimp delivered or go out to the Crab Trap and get a great meal. Great fishing at Sargent Beach! 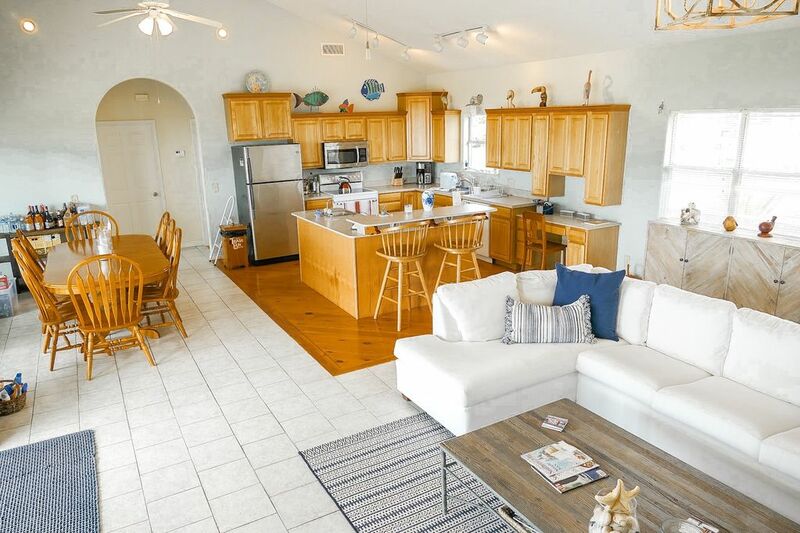 The Saba's have done a wonderful job creating a perfect vacation beach house rental. It has a perfect open living/dining/kitchen space for a lot of people with huge windows giving a view of the beach. The bed rooms worked out great for our family with 3 sets of adults and their children. The deck is perfect to sit out on and take in the spectacular view of Sargent beach. All needs items were thought of and provided like beach chairs and towels. This is a place well worth staying at again.